Hello! 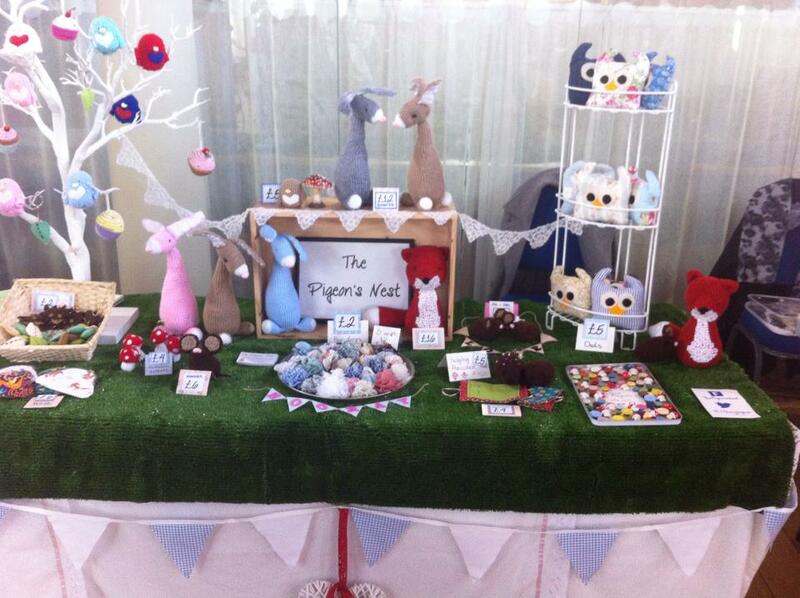 I’m Rebecca and I create whimsical woodland creatures and gifts from fabric, felt and yarn. I work out of the back bedroom of our Nest, normally with our woof, Chekhov laid around my feet and my husband on a very important conference call on the desk next to mine. My creations are inspired by the books I read as a child and I hope to invoke the nostalgia of Enid Blyton, Kenneth Grahame and Richard Adams for the young…or at least the young at heart. I can’t remember a time I wasn’t making something, I am quite lucky to have been encouraged to ‘be quiet and find something to do’ from an early age. 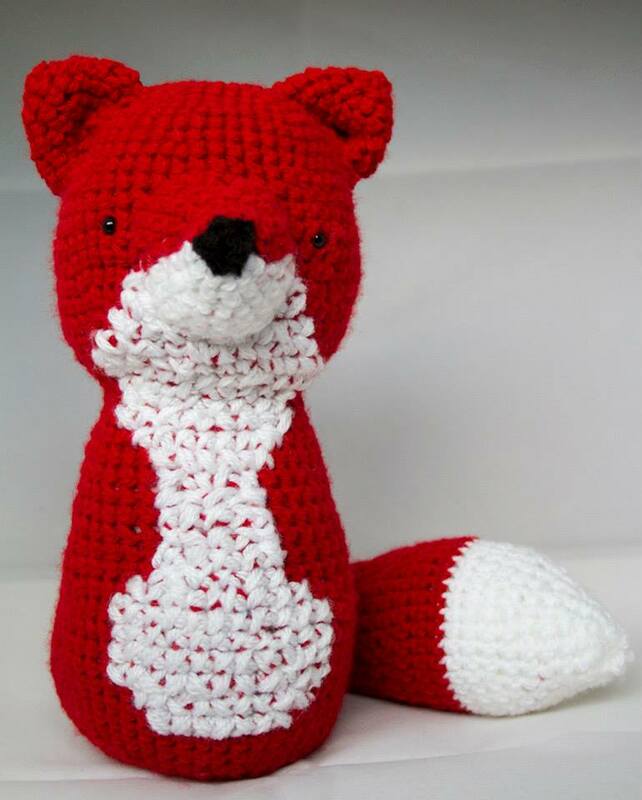 I taught myself to crochet around 3 years ago and I have been sewing since I was allowed to use a needle. I opened the digital doors of The Pigeon’s Nest in 2012 as an outlet for my creativity, and I haven’t looked back. This year, my rabbits have really done well…. I think I have a certain Christmas ad from John Lewis to thank for that. 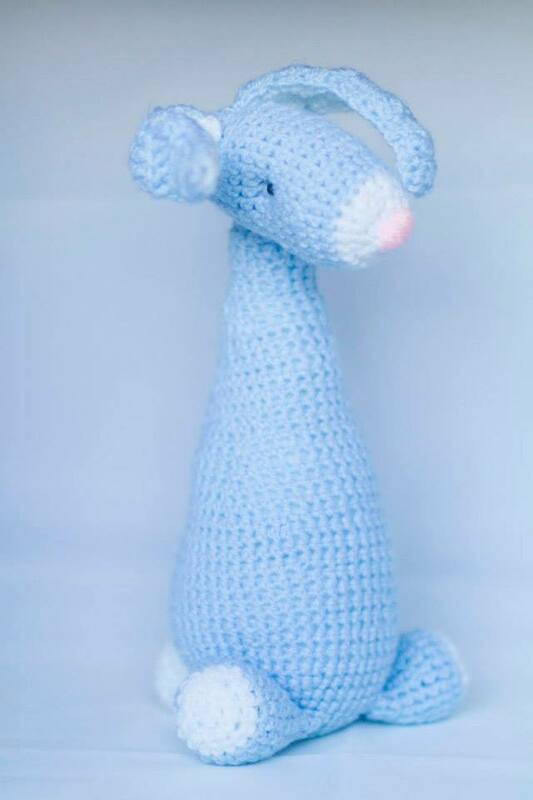 They make fabulous gifts for children and newborns too…I love getting bunny snuggle photos! I love to respond to what customers want. I’ve added so many new colour ways recently after getting commissions and then falling in love with the result! The biggest head over heels moment I have had recently has to be for my bunny in a lemon yellow, requested by a customer. I want to make a whole warren full of those beauties! 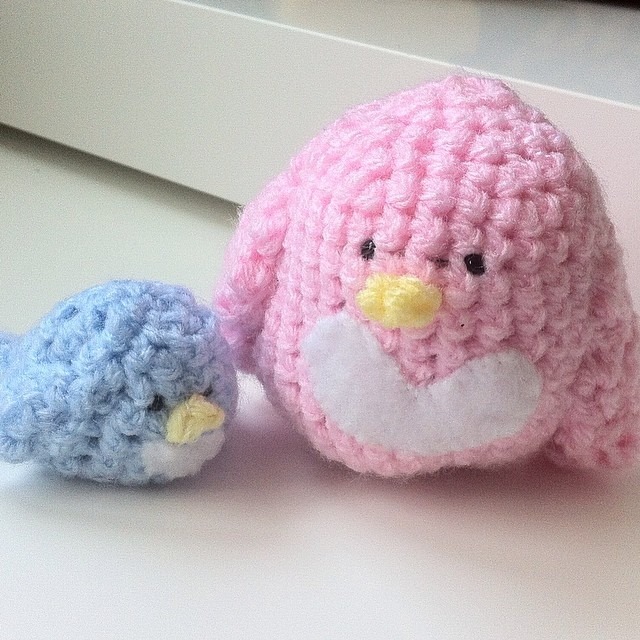 For spring and summer my Love Birds shed their Christmassy colours for pastels and there are chicks galore! 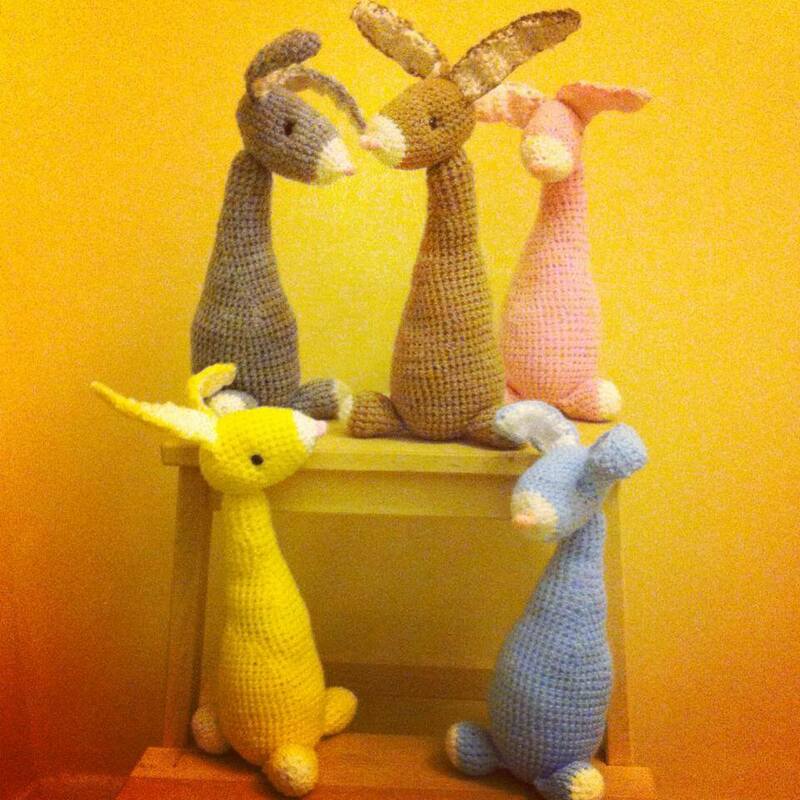 Of course, my rabbits will be making an appearance….what is Easter without the Easter bunny? I am very excited to be part of Cowpie this year. Having moved from Dorking, it will now be held at Blue Anchor Farm in Lingfield on the 11th of May. Looks like it should be a brilliant day for all the family! I have so many plans for The Pigeon’s Nest! I have recently put some of my makes into a lovely brick and mortar shop in Horsham, and this year I hope to find another lovely little boutique, perhaps in Brighton who would stock me too. Spring has finally sprung. HOORAY! I honestly had SO much fun at the last Fairy Tale Fair. I was quite poorly and was slurping Lemsips under my table, but that didn’t put a dampener on my day at all! Everyone was so friendly (and SUPER talented!) and it really felt like a buzzing community of fabulous makers. It was a great way to spend my Saturday! The Pigeon’s Nest has made the leap on to Etsy, and I am very pleased we have. Not all my wonderful things are listed yet, but I am just very pleased to be part of such a wonderful online community…. You can find me at https://www.etsy.com/uk/shop/ThePigeonsNestUK .